2015 Gold Waterloo Readers Choice Award Winner! Thank you for your votes. 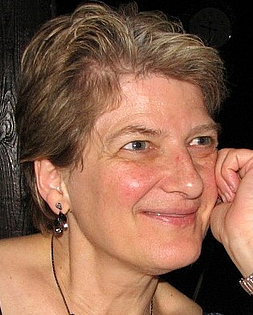 Dr. Dagmar Lutzi emigrated to Canada from Germany as a small child and was raised in the Kitchener-Waterloo area. She received her Doctor of Optometry degree from the University of Waterloo and subsequently completed a two year residency in contact lenses while working at the University of Waterloo Optometry Clinic. She was the recipient of the Bausch and Lomb Outstanding Achievement award for contact lenses. 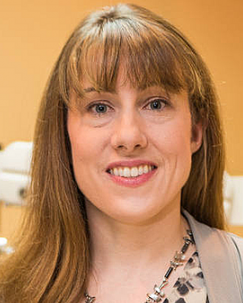 She has served on numerous committees for the College of Optometrists of Ontario and has been an examiner for the Canadian Examiners in Optometry for many years. In her spare time she enjoys any activities that involve her grandchildren. Dr. Kirsten Ball was born and raised in Kitchener-Waterloo. She attended the University of Waterloo, graduating with an Honours Bachelor of Science degree, and then a Doctor of Optometry degree from the UW School of Optometry in 2000. Graduating with honours, she received numerous awards for Academic and Clinical Excellence, including outstanding achievements in pediatric optometry and optics. As well as working in private practice, she also pursued research activities part time at the School of Optometry as a research optometrist for eight years, which included work with pre-school children, linking vision and literacy, and binocular vision. 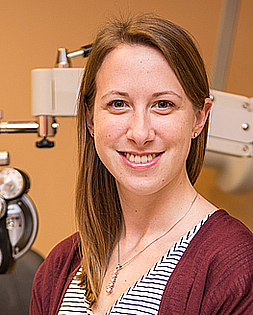 Dr. Ball is an active member of the Ontario and Canadian Associations of Optometrists, as well as the College of Optometrists of Ontario, where she serves as a Quality Assurance Assessor. 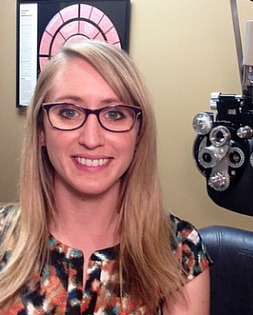 She also serves as the president of the Waterloo-Wellington and District Optometric Society. In her spare time she enjoys training and competing nationally and internationally in fencing, as well as travelling to new places, and exploring the outdoors.